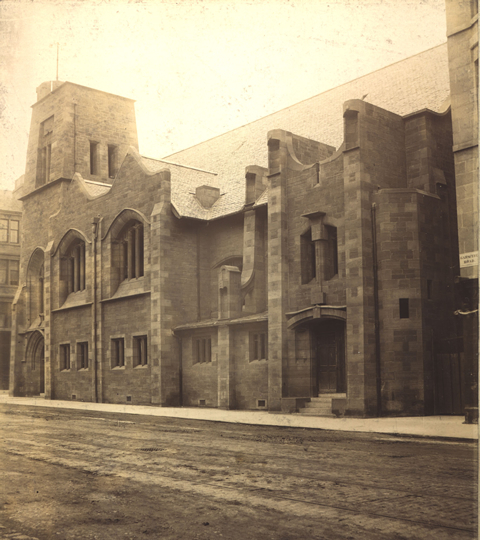 In 1896, the Free Church of St Matthew, Glasgow, commissioned a new church and hall. The job was allocated the job to the young, talented, trainee architect, Charles Rennie Mackintosh. 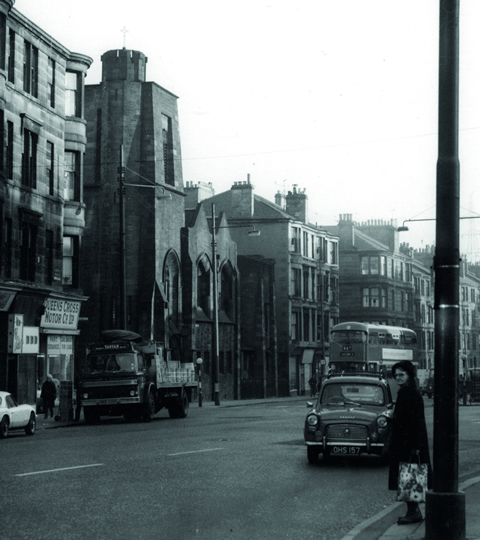 The history of Mackintosh Queen’s Cross. By the late 19th century, Glasgow had become the “second city” of the British Empire and the shipbuilding capital of the world. One consequence of this extraordinary growth was a wave of new church buildings undertaken to meet the needs of an expanding population – Queen’s Cross accommodated a congregation of 820! Externally the design is predominately gothic in its approach but Mackintosh incorporated some inventive detailing and carving around the church. He was often inspired by his sketching trips to England and Italy. The tower is closely modelled on a medieval parish church that Mackintosh sketched in 1895, All Saints, Merriott, Somerset, England. Queen's Cross Church completed opened for worship on 10th September 1899. A view of Queen's Cross in the busy suburb of Maryhill, Glasgow. A view of Queen's Cross in the 1970's. The interior of the church has an eclectic mixture of influences, from pre-reformation English, Gothic and Japanese. Mackintosh manages to create a tranquil oasis for the soul and mind and infuses the building with a warmth and style that is totally unique. The symbolism carved into the various elements of the church can be approached but never fully explained. Yet it is difficult to imagine how he “sold” some ideas to the conservative Free Church as the building is infused with decorative carvings of birds, insects and plant forms. The two magnificent stained-glass windows illuminate an interior robustly Presbyterian yet richly, even sensually, ornamented. 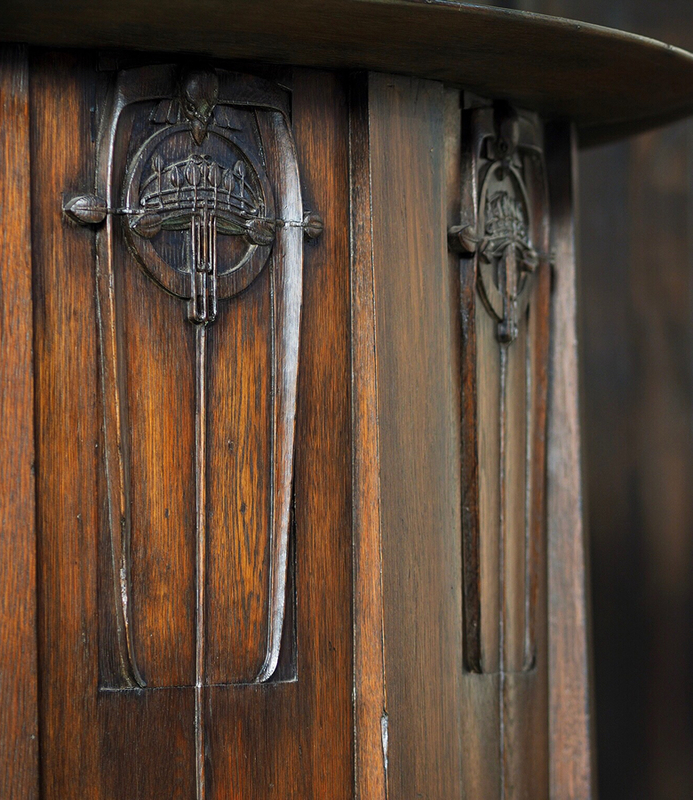 One of the most beautiful features is the carving on the pulpit, depicting a bird embracing and protecting young plant shoots; perhaps echoes of the parable of the sower from St. Matthews Gospel. 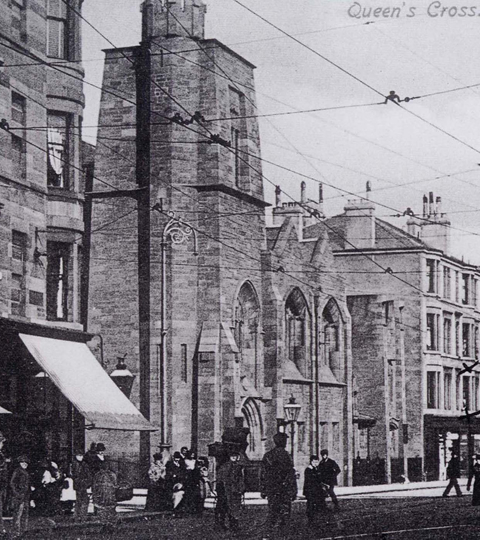 In 1929 the Free Church was reunited with the Church of Scotland which assumed ownership of Queen’s Cross. By the 1970s as the population declined Queen’s Cross could not continue as a viable church and in 1976 the congregation merged with that of nearby Ruchill Church. 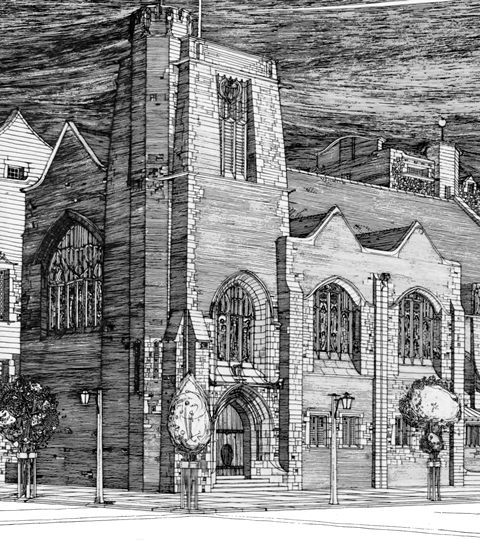 The following year the Charles Rennie Mackintosh Society stepped in to save the building and negotiated a 21 year lease from the Church of Scotland. In 1999 the Society was able to purchase Queen’s Cross as a result of a generous donation from Dr Thomas Howarth. A key mission of the Society is to continue to care for and share this wonderful building with as wide a public as possible. 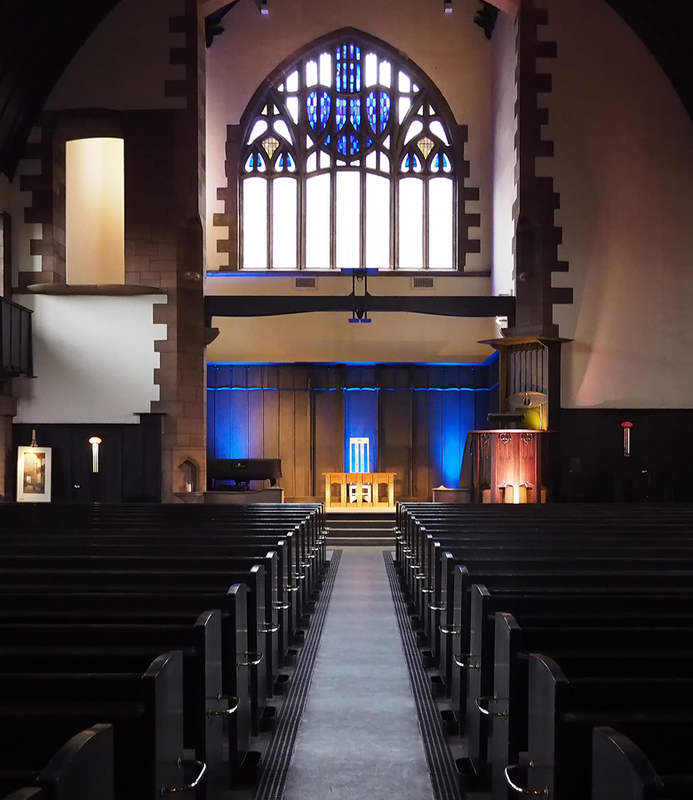 We believe it is now better equipped than ever to add value to Glasgow’s unique Mackintosh heritage, contribute to the local community, meet visitor expectations for the foreseeable future and support the ongoing development of the Society. Membership of the Society provides a unique opportunity to share in the ownership of an original work by Mackintosh as well as other benefits.